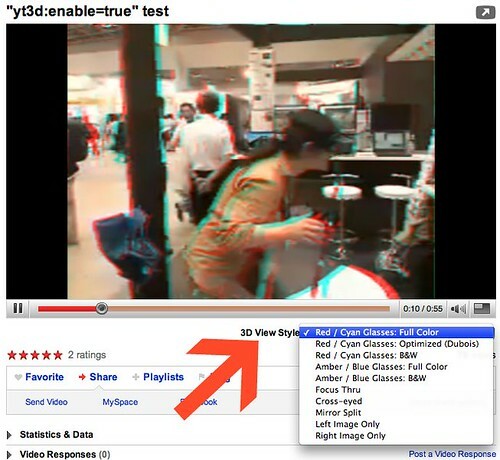 It appears that some time over the weekend, YouTube began experimenting with 3D videos. I spotted a thread at the YouTube Help forum about this, where Googler Pete said he developed this in his 20% time. I spotted a video that is currently experimenting with this over here. Your feedback and suggestions are welcome, but as this isn't my primary project I can't promise a speedy turnaround with improvements. I find it pretty cool that this is being done and I have a feeling it might gain a bit of a following by some videographers out there. Previous story: Google Picking Titles Incorrectly?